If you’re not familiar with High Point, proudly known as “The Furniture Capital of the World”, here are a few tips to help you get started planning your High Point court reporter and North Carolina visit. The High Point Chamber of Commerce website has all the information you need to know on the area’s local conference facilities and attractions. Check out their member directory for High Point hotels for potential conference room rentals. Make sure to take special care during the period of the ever-popular High Point Market, as hotels can fill up fast. High Point is the only city in North Carolina that is split among four counties: Guilford, Davidson, Randolph and Forsyth. Most of the city is located within Guilford County, whose county seat is Greensboro. You can find updated contact information and hours of operation for the Guilford County Courthouse at the official courthouse website (full phone directory located here). Other municipalities and townships in Guilford County include Browns Summit, Gibsonville, Greensboro, Jamestown, Oak Ridge, Pleasant Garden, Sedalia, Stokesdale, Summerfield and Whitsett. Serving a subpoena? Find a process server affiliated with the North Carolina Association of Professional Process Servers here. Transportation: High Point is located near the key intersection of Interstate 40 and Interstate 85. Interstate 74 and US Highways 29, 70 and 311 also serve the area. The nearest major airport is Piedmont Triad International Airport, located about 25 minutes to the north. Other nearby airports with general aviation service include Darr Field. 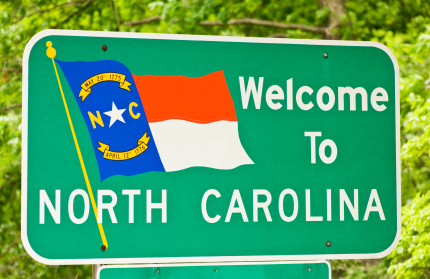 Our goal is to be your convenient, one-stop source for deposition reporting services in North Carolina’s Piedmont. Communities near High Point that we serve include Asheboro, Greensboro, Lexington, Mocksville, Thomasville and Winston-Salem. We cover most of North Carolina’s major cities, including Charlotte, Raleigh, Durham, Cary, Concord, Gastonia, Chapel Hill, and Burlington. We also offer network coverage to over 40 additional markets nationwide as the official Piedmont partner of DepoSpan.